Plarn is the word that people come up with to describe yarn crafted from recycled plastic. 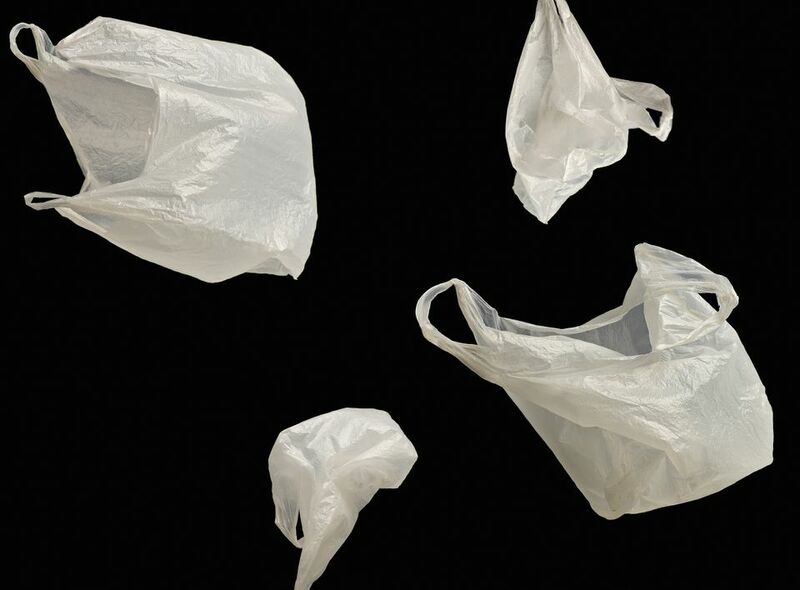 It's the perfect eco-friendly craft supply if you already have a stash of plastic bags in your house. Instead of sending them to the landfill, create yarn with them, then crochet or knit that yarn into functional products for use around the house. Plarn gained popularity as the best yarn to use to crochet sleeping mats for the homeless. They're affordable, durable, and waterproof. You will find many crochet patterns for plarn sleeping mats as a result. Of course, you can use recycled plarn to create a wide range of other projects as well. Plarn crochets up into tote bags, which is the perfect way to reuse them; you're taking their intended single-use waste and using them for the exact same purpose over and over again. It really makes a statement. Plarn is also great for high-texture projects such as crochet dish scrubbies. You can use it to make rugs and even curtains. That said, there are a few times you shouldn't use plarn. If you're adventurous enough, you might try it for clothing and accessories, but most people will find that it's not a wearable fiber. Additionally, you can't use it in projects that might cause it to melt, such as hot pads. With those tips in mind, here are some sources to help you learn how to make plarn for crochet and knitting. If you enjoy crocheting with alternative materials then you have probably already tried making t-shirt yarn. If that's the case, then you basically already know how to make plarn. That's because you can use the same fold-and-cut method that's used in t-shirt yarn to make plarn. 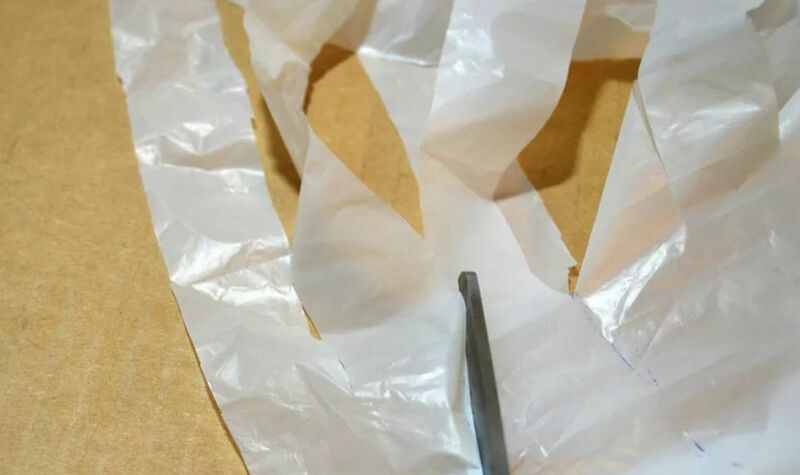 Whether you're working with a t-shirt or a plastic bag, you flatten out the item, then trim off the top and bottom to create a rectangular tube. In the case of a t-shirt, you cut off the arms at the top, whereas with a plastic bag you cut off the handles. Then you use a strategic method to cut strips into the bag without cutting them entirely apart. You end up with one long strand of fabric. Roll it up into a ball and you're ready to use it for a crochet or knitting project. Find the full tutorial for how to make plarn this way by following the link at the heading of this section of the article (above). There are actually a few different ways to make t-shirt yarn, and this is an alternative version that also works just as well for cutting plastic bags into plarn. In the method above, you cut directly across the bag. In contrast, this method uses a fold-and-cut approach. spine. There are loops of fabric or "ribs" coming out of the spine. You cut those in a spiral to create your long piece of plastic that you roll up into your ball of yarn. Find the full tutorial at the link above. This method of making plarn begins just like the other two. You remove the handles and the seam at the bottom of the bag so that you have a rectangular tube (or cylinder) to work with. However, that's where things change dramatically in this method. Instead of cutting a single continuous strip of yarn, you'll cut the bag into much smaller strips. You'll create a knot in each strip to turn the strip into a large loop. Then you'll attach the loops to one another to create your long piece of plastic fabric, which you can then roll into a ball of "yarn". Follow the link above for a helpful video tutorial to learn how to make plarn this way. It includes tips for properly making the knots in the plastic bags so that they don't create a bunch of bumps when you knit or crochet with the plarn.